Holy crap, it’s really happening. I almost can’t believe I’m finally writing a happy post about this topic, but here I am. I’m 14 weeks today and feeling pretty great, aside from some lower back/hip pain over the last few days. But I’m getting ahead of myself. Let me give you the lowdown of what’s been happening the last few months, and I apologize in advance for being a bit wordy. If you’ve read any of my other posts about our history, you know it’s been a bit of a bumpy road over the last year as Darrell and I tried to grow our family. We took some time off from trying after our loss in September (per doctor’s orders) and in January, unfortunately had another loss. Since we reached the medical standard for recurrent pregnancy loss (3 consecutive losses), we decided to reach out to a local Reproductive Endocrinologist (RE) to start recurrent loss testing. Recurrent loss testing, at least in our case, consisted of several blood tests for common concerns like blood clotting disorders and antibodies, a full genetic karyotyping, and a saline sonogram to check the shape of my uterus and the general health of my reproductive system. After being poked and prodded (me much more so than Darrell), everything in our bloodwork and ultrasounds came back completely normal. The doctor was disappointed to not have a problem to fix, but Darrell and I were both thrilled that nothing was wrong. As we’d always assumed, our losses were simply attributed to bad luck, and the doctor told us to call when we were pregnant again. 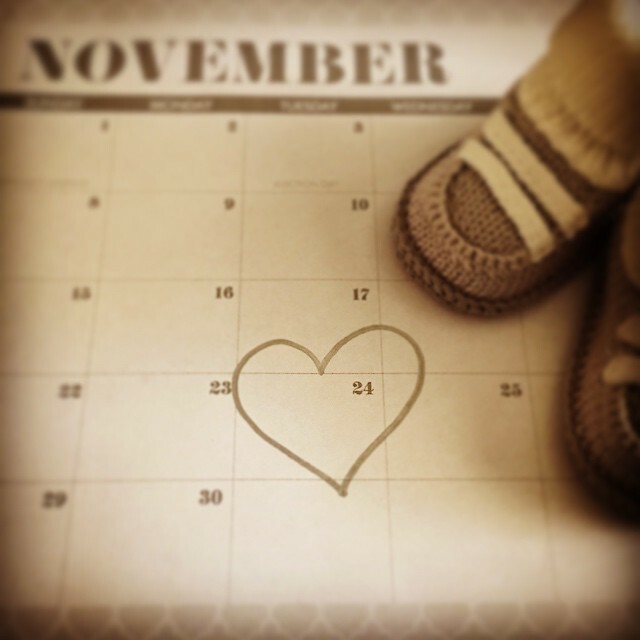 In March, we very happily (and anxiously) made that call. Our RE had me come in for blood draws to check my beta-hCG levels (aka the pregnancy hormone) and brought us in around 6 weeks for my first ultrasound. Perfect! Everything was perfect and we were even able to see and hear the baby’s heart beating. It was the most amazing feeling as we’d never been able to see a heartbeat before, let alone hear one. We were over the moon, almost in disbelief that everything seemed OK.
Of course, it was still very early, so the feelings of relief and happiness didn’t last long. 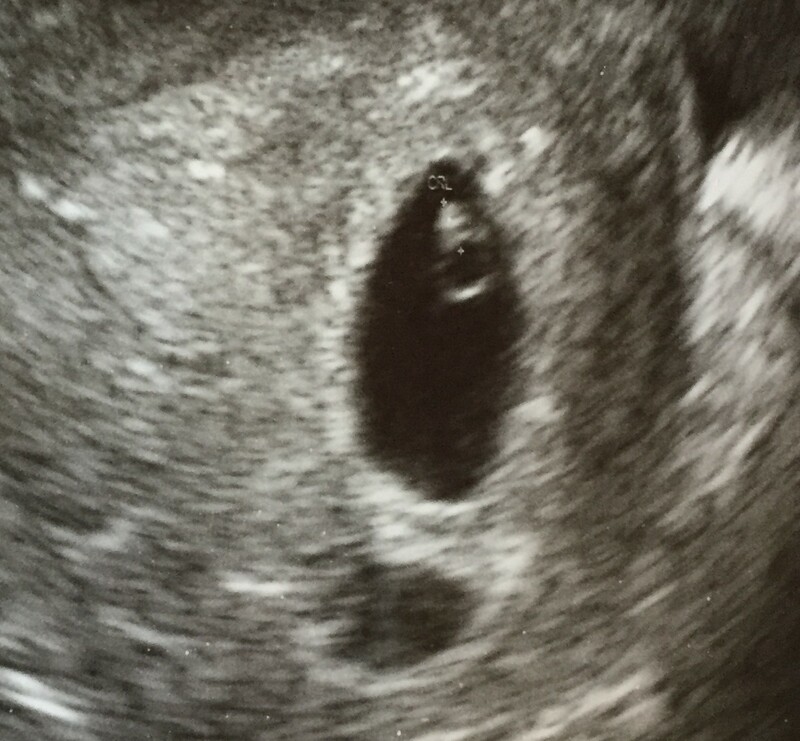 Luckily, we had another appointment just two weeks later, where we once again saw baby, who was measuring slightly ahead and had a good, strong heartbeat of 174 bpm. The RE said he saw no cause for concern and “graduated” us, updating my due date to November 24th and sending us off to be monitored the rest of my pregnancy at my regular OB. Baby Manet is really on the way! Since leaving the RE, I’ve been able to see my OB, hear the heartbeat again and go over all the standard paperwork and bloodwork. My doctor, being the awesome person she is, even offered to let me come in for a heartbeat check any time I wanted, something I took advantage of once and have since reined in the crazy on. It’s such a relief to finally be considered just a normal pregnancy patient, but the wait between appointments is torture! We won’t get to see the baby again until we go in for our anatomy scan, which seems so far away. But, all I’ve wanted was for this pregnancy to be normal and boring (meaning no scares, no issues), so I guess I can’t complain that I’m getting exactly what I asked for! 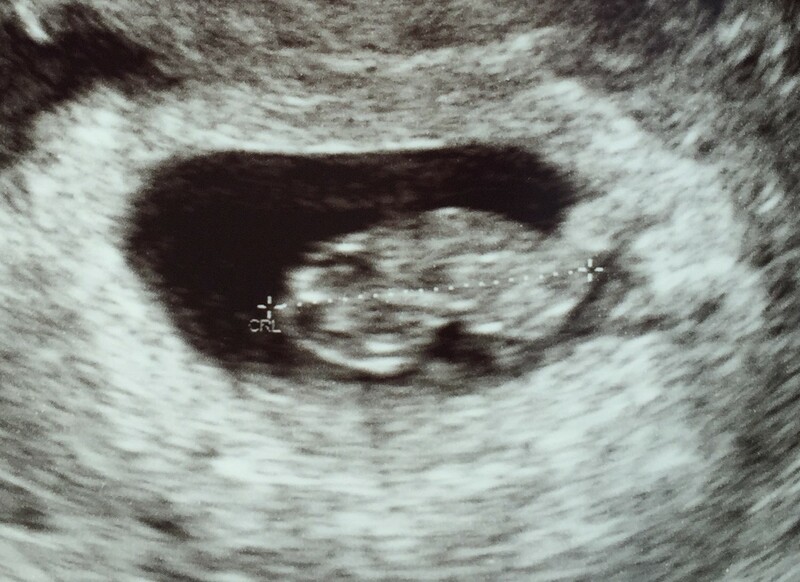 Tomorrow I have my 14-week checkup, which I assume will be just another heartbeat check with the doppler and a quick review with the doctor. Even so, I can’t wait for the reassurance that everything is fine, baby is growing, and we’re getting closer and closer to meeting him or her! Thank you all for your kind words and thoughts as I’ve shared most of this story with you. It’s been a long, hard path, but I know in the end it will all be worth it. I know I’ll never be able to fully relax, to just enjoy being pregnant like someone who has never gone through the pain of loss, but at the same time, I think going through everything we have has brought us closer together and has prepared us to be the best, most loving parents we can be. Or at least, I hope that’s true. I guess now is when I start freaking out about actually becoming a mom, right? Can’t wait to meet you, baby!